More people tested positive for drug driving in England during December 2015 than in the whole of 2014, according to figures published yesterday (27 Jan) by the National Police Chiefs’ Council (NPCC). The figures confirm a much heavier emphasis on detecting drug drivers during the NPCC 2015 festive enforcement campaign. During the campaign, which ran from 1-31 December, 1,888 drug screening devices were administered by police officers, with nearly 50% (931) of those tested found to be under the influence of drugs. The results are attributed to new legislation and drug detection devices which have made it easier for police to identify and prosecute drug drivers. With regard to drink driving, there were considerably fewer breath tests administered in the 2015 campaign than the previous three years, but the percentage testing positive increased. NPCC says this is due to police forces using an “intelligence-led approach” which targeted “drink drive hotspots”. During the 2015 campaign some 110,226 tests were administered, with 5.02% of those testing positive. Commenting on the results, chief constable Suzette Davenport, NPCC lead for roads policing, said: “These results show that new legislation and detection devices have helped us to keep the roads safe. 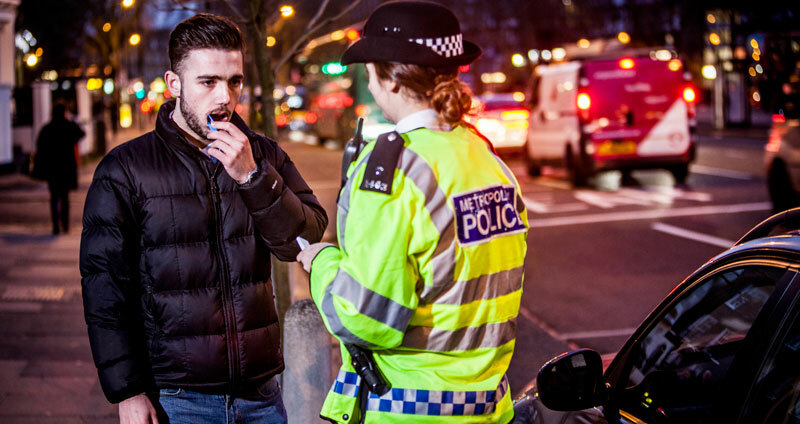 NPCC says there are “encouraging indications that anti-drink drive messages are reaching the under 25s” and suggests that “the majority of young drivers are avoiding alcohol when taking to the roads”. In 2015 the percentage of positive tests among this group was 5.37%, compared with 6.33% in 2014. However, the 2015 figure is still higher than in 2013 (4.41%) and 2012 (5.27%). Road Safety GB has welcomed the NPCC focus on the issue of drug driving.